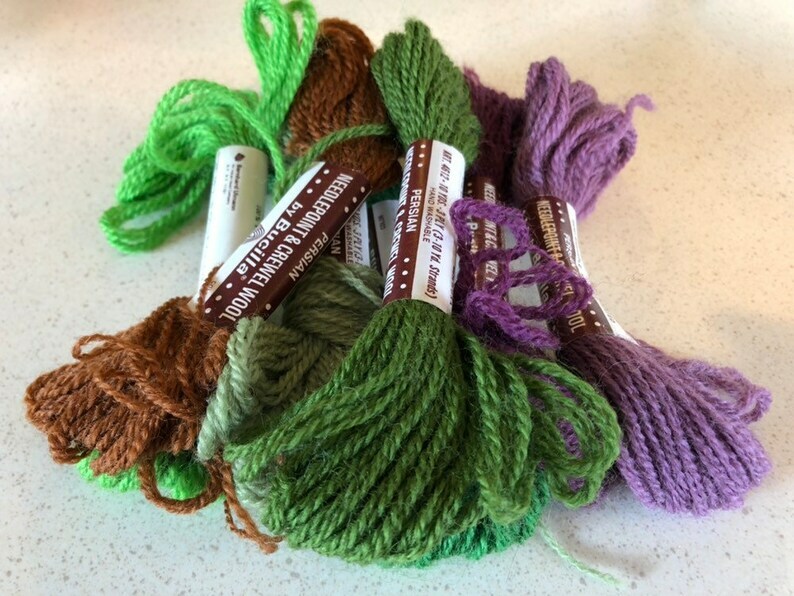 Persian needlepoint crewel 100% wool skeins By Bucilla, Lot of 7 - 10 yard 3 ply, Made in the USA, excellent to be used for crafting supplies for crochet, knitting, embroidery, and sewing projects. Bucilla is a know quality supplier to needle work. Four shades of Green shown and four shades of Purple.